According to Cisco, more than half of all data traffic on mobiles was for video in 2015. This is expected to grow to 80% by 2019. Video is everywhere on social networks, with those platforms making video support (including live streaming) a priority. For marketing purposes, videos engage more effectively with potential customers and build stronger relationships, hence the explosion in video content marketing. An Australian real estate group claims real estate listings with videos receive 403% more inquiries than those without videos. In other words, video quadruples lead flow. Forbes Insight found 59% of senior executives would rather watch a video than read text. For about 50% of those who viewed an online marketing video, it led directly to a purchase. On social media, a NewsWhip study found engagements with video on Facebook was increasing markedly, while engagements with other types of content was decreasing. The more video there is, the more attention it gets, with other content falling by the wayside. In other words, video content marketing must now be an essential part of your marketing strategy as a whole. Get the cheatsheet you need to use video content marketing. Brands are looking to video as a central part of their future marketing campaigns and every content creator knows that video is the essential medium for engaging current and future audiences. Rachel Payne, founder and CEO of FEM, Inc. This post gives you an overview of more than 10 different platforms on which you can reach and engage with your market with video content marketing, along with tips from relevant experts about how to succeed on them. 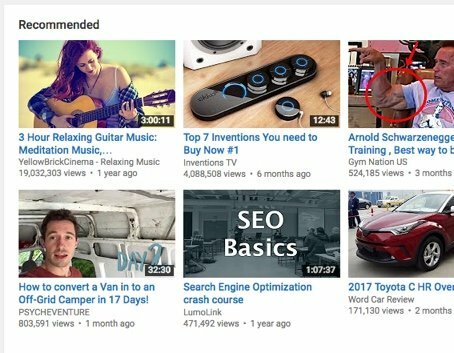 You’ll even find a little-known hack to add tens of thousands of additional views to your YouTube view counts. Launched January 24, 2013 via Twitter’s blog, it grew quickly, with over 100,000 Vine videos shared over a single weekend just three weeks after the app was launched. Vine gives you just a 6-second time frame for your video. Vine videos continually loop while displayed on the screen, which make for some interesting creatives. You’re not restricted to solely sharing Vine videos on Twitter, they can be shared across other social networks like Facebook and Pinterest. You can also of course embed them on your website. NOTE: Shortly after this post was published, Twitter announced they would be discontinuing the mobile app, though the Vines themselves would stay online. This post will be updated further in due course. 40 million users have downloaded Vine. More than 100 million people view Vine videos every month. Branded Vines receive 400% more shares than branded videos. You can attract more followers on Vine by opting to show your Vine account on your Twitter profile. It works the other way around too. You can find people to follow on Vine based on who you follow on Twitter. Create your own Vine via the camera icon within the app. Vines are recorded by holding your finger on the screen. The recording stops as soon as you release it. In this way you can create several joined sections of video. Viewers are able to comment on videos, like them, and revine (the same concept as retweet, so share the vine with your own followers). Create how-to videos that inform. How you distribute the Vine once published is key to success. 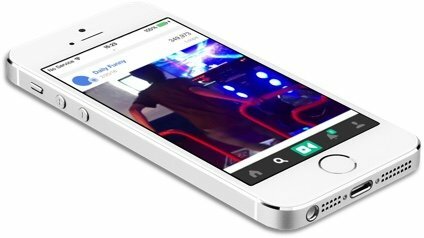 Promote your Vine video across all your social channels. Craft your content to match the call to action you are looking for. Periscope is another video app from Twitter. It was launched a couple years after Vine, in March 2015, again via Twitter’s blog. Just as with Vine, Periscope grew quickly, with a million users within the first ten days. It’s not hard to see why, as for the first time it enabled live video streaming to the masses. Periscope users effectively have their own live TV station allowing them to broadcast video to whoever wants to watch. If you’re familiar with using Skype for video conferencing, it’s a similar idea, except anyone anywhere may be watching. It can be seen as a natural accompaniment to Twitter. Twitter developed from the idea of allowing your texts to be viewable by anyone. Periscope does the same for live video streaming. Periscope has 10 million users, 2 million of which are active daily. There have been 200 million broadcasts. 75% of users are between 16 and 34 years old. As with Vine, it’s designed for mobile rather than desktop use, so to get involved you’ll need to download the app. There’s one available for both iPhone and Android. 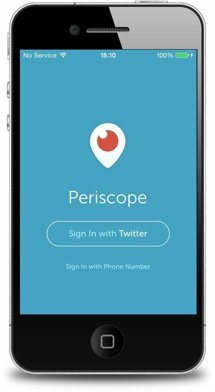 As with Vine, you can sign up to Periscope through Twitter. By linking your Periscope and Twitter accounts, your Twitter followers are notified when you’re scoping via an update on your feed. Scoping? Yes, Periscope has a few terms to get used to, but they’re straightforward. Periscope users are referred to as scopers, with individual broadcasts know as a scope. While it’s designed for live broadcasting, scopes remain available for 24 hours to allow more people to view. However, you can also choose for the broadcast to be available for longer periods, including indefinitely. Broadcasts can also be saved to your mobile device, allowing you to use them in future like any other video. It’s a social media platform like any other. Scopers can follow each other, and show their approval for broadcasts with hearts by tapping on the screen. People who are watching can comment and ask questions, making a session on Periscope very engaging and interactive. Set up your profile properly, including your website’s URL, tailoring it for Periscope. It’s not clickable, but your followers will know where to find you. Watch broadcasts first to familiarize yourself with the platform, develop relationships with other scopers, and inspire yourself with ideas on how to run your own broadcasts. Create a catchy title to attract your audience. Use emojis in your title. They help attract attention in Periscope’s feed and are part of the Periscope culture. The location arrow determines whether your (broad) location is shown. The padlock icon makes the broadcast public, or private for a smaller select group of invited scopers. Turn the speech bubble symbol on if you only want users you follow to be able to chat and comment. If the Twitter icon is on, an announcement will be posted to your Twitter account when you begin to broadcast (recommended). Start simply. Keep it short and simple. You don’t have to show your face. Sure, it helps build connections. But if you’re not comfortable at first, it’s not compulsory. Welcome people in the same way you’d welcome a small group coming into a room. It helps build that sense of a real connection between yourself and those watching. Learn to multi-task. Responding to comments while talking about your topic can be difficult. A better approach may be to respond to comments periodically, as long as you let people know that’s what you’re doing. Give hearts to other broadcasters. By engaging with other broadcasts and giving hearts (by tapping the right-hand bottom corner of your screen), scopers will reciprocate for your own broadcasts. Time the broadcast well. You want your broadcast to coincide with when the majority of your audience are likely to be online. Test different times and see what works best for your audience. Publicise the scope in advance. Use all your channels including social and email to build the audience for your scope. Have valuable content to share. Be clear about what value you want to give during the broadcast. Don’t run too long. Test different broadcast lengths, but most broadcasts will be under 10 minutes long. Any more, and your audience is likely to dwindle. Check your power. Make sure your device has enough battery power to handle the broadcast. Do post-broadcast promotion. Post replay links to Twitter and your other social channels after the broadcast. Build your following. As with other social networks and content platforms, your success will build as your following grows. Build your Periscope following by interacting with other broadcasts, broadcasting regularly, and simultaneously working on building up your followers on Twitter and across other social networks. Launched in April 2016, via of course a live video, Facebook Live allows users to post real-time video posts from their mobiles, whether from standard profiles or Pages. Professional broadcasters are also able to broadcast from higher grade equipment via a special API. While watching a live video or a later replay, users can subscribe via a Live Subscribe button so that they are notified the next time a live broadcast begins. Live videos are indicated with a red ‘Live’ icon along with the number of viewers. You can post live videos lasting up to 90 minutes, although continuous live videos (which won’t be recorded in any way) are also becoming available. After the broadcast ends, the video shows on the Page or profile to permit later replay. Restrict who sees the video based on age, gender, location and language. Publish directly to the Videos tab instead of a post in your timeline. Reports suggest people spend 3x longer watching Facebook Live videos than recorded videos. There are over half a million accounts on Facebook that are using Facebook Live. It’s little different to posting normally on Facebook. Using the mobile app, simply tap the usual What’s on your mind?, and then the Live Video icon. You won’t go live immediately. First write an optional description for the video, and then choose an audience for your video (e.g. Public, Friends, etc.). Tap Go Live for your live broadcast to start. Users engage with live broadcasts as they do with any other post. The only real difference is you are able to see the total number of live viewers, along with the names of Friends who are watching. Comments show as they are posted, and you can respond in real time. Should it become necessary, you can block a particular viewer from your broadcast by tapping their profile picture and selecting the option to block them. Build anticipation: give friends and fans advance notice of your live broadcast. Write a captivating description: it’s optional, but a good description will of course encourage people to watch your broadcast and help attract the right audience. Ensure you have a strong internet connection: the last thing you want is for the broadcast to be disrupted halfway through because of connection problems. For best results, ensure you’re using a reliable and strong Wi-Fi connection. Don’t panic if the connection drops: even with the best efforts, a loss of connection can still happen. Once you’re reconnected, the Facebook app will automatically allow you to resume the broadcast. If that’s not possible for whatever reason, the interrupted broadcast will still save to your feed. You can always delete it, or arrange for a repeat broadcast at some point. Encourage viewers to subscribe: as stated above, people who subscribe will be notified for future live broadcasts, building your audience and success over time. Go for longer videos: unlike Periscope above, longer videos tend to perform better on Facebook Live as you have longer to attract more people to the broadcast. Broadcast regularly: as with other social networks, the more regularly you’re able to participate, the more your audience will build and the stronger your results will tend to be. YouTube shouldn’t of course need much introduction. It was launched in 2005, founded by early employees of PayPal, and grew quickly to become one of the fastest sites on the Internet. Just 18 months after the youtube.com domain was activated, Google bought the site for US$1.65 billion. YouTube claims it has over a billion users across 88 countries and 76 different languages, watching hundreds of millions of hours on YouTube every day. It’s the second biggest site in the world, just behind Google, with Facebook third (Alexa). That also of course makes it the second largest search engine. Remember too that videos are visible on both YouTube and Google. Videos on YouTube can be quickly and easily uploaded via the website. For best results, first create a channel. As well as allowing viewers to subscribe to your channel, it gives your content a proper home and identity on YouTube and helps your videos to rank. 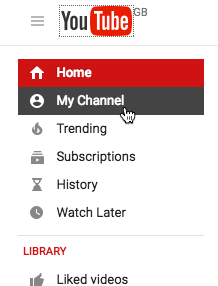 Subscribers will see new videos from your channel in their Subscriptions feed, as well as receive related notifications. Viewers can indicate whether they like or dislike a video by giving a thumbs-up or -down. They can also leave comments under the video to which the creator (or others) can respond. Another prime engagement metric that YouTube measures (and uses to help rank the video) is how long viewers watch the video for. The greater the engagement viewers have with the video (including additional metrics not mentioned here), the higher it is likely to rank. Success on YouTube is a huge subject. 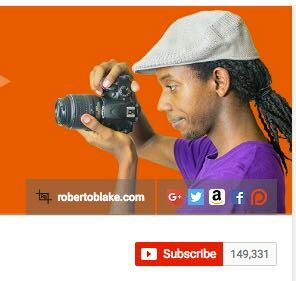 New York-based graphic designer and digital artist, Roberto Blake, built his channel to over 50,000 subscribers from scratch in just 2 years. He now has 150,000 subscribers, and regularly enjoys thousands of views for his videos. Several have hundreds of thousands of views. Visual branding matters. Be consistent through your channel, your other social media accounts and your own website. Use attractive thumbnails. You want to convince people to click on and watch your video. Use the best equipment you can. You can use your smartphone perfectly well for video if that’s all you have, but invest in proper audio equipment such as a lapel microphone. You need a YouTube content strategy. Think of your channel as a TV channel that has “shows” and programming. Plan for several videos ahead, with consistent release dates and times. Make the content that’s easiest for you to produce on a regular basis the core of your channel. Watch time matters more than subscriber numbers for rankings. Longer videos help, even if most people don’t watch all the way through. It all helps build authority for your channel and helps the videos on it to rank. Work on retaining people for as long as possible on your videos. Encourage shares. Other people sharing your videos matter more than subscriber counts. Edit videos using entry level software to start with. Move to more professional software as and when you are able. Use YouTube to build your email list. At the same time, build your community by engaging with the audience via the comments and within the videos themselves. Use multiple channels. Don’t solely focus on YouTube, build your community using multiple social channels and your website. Align your content with your goals. Be clear on what your goals with your channel are. Most people think of YouTube as a platform for recorded, watch-any-time videos. However, it also permits live streaming videos (including for 360-degree video), which it launched in 2011. YouTube live video views grew by 80% in the year to August 2016. The number of live videos grew by 130%. 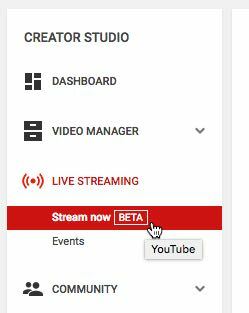 First ensure you have a verified channel, then enable Live Streaming from the Creator Studio dashboard via the Get started button. You will need to initially set up encoding software supplied by YouTube, add a title and description for the live stream and supply a thumbnail image. Stream now: start sending content, with the stream started and stopped automatically for you. Use Events: this gives you greater control, including the ability to decide when to start and stop the stream. The live stream can also be embedded on a site, similar to other YouTube videos, as long as you have an approved AdSense account linked to your account on YouTube. The link to the live broadcast can also be shared for example over social media. This will be in the format youtube.com/c/username/live. After broadcast, your video can be downloaded as an MP4 and shared on other networks such as Facebook and Twitter. Live Chat is enabled by default for live streaming broadcasts, allowing you or an associate (who you set as a Moderator) to interact with viewers. Spam messages can be automatically blocked (basic spam only). You can add words and links that will be blacklisted. Users can be blocked or put in time out. You can also turn off Live Chat if you wish. Add YouTube cards to the event to create a call to action. You can view analytics during the broadcast, such as the number of people who are watching. Build anticipation by letting people know about your live stream event in advance, through email, social and other channels. Be discoverable by optimising your title and description, and supplying an appealing thumbnail. Provide value by planning the information you want to share through the live stream in advance. Engage with those watching by responding to comments in the Live Chat, either personally or via a moderator, welcoming viewers by name where possible, referring to individual viewers during the session based on their comments, and so on. Ensure your network connection is reliable. You don’t want the connection to drop halfway through. Google were never going to let Twitter (via Periscope) and Facebook have all the fun with mobile live streaming. In June 2016, they duly announced they will be adding live streaming into the YouTube app. It’s only currently available to a select few, but will be rolled out more widely soon. This post will be updated as soon as more information is available. Given the strength of YouTube, it’s one to watch. YouTube is certainly far bigger than Vimeo, but Vimeo has its strengths and shouldn’t be ignored. It really depends on the type of audience you are trying to reach. YouTube focuses on quantity, while Vimeo focuses on quality. Videos on Vimeo tend to have higher production values, and there’s less clutter on the platform as a whole. YouTube is for the masses, whereas Vimeo’s audience are generally more sophisticated (and are often more engaged). 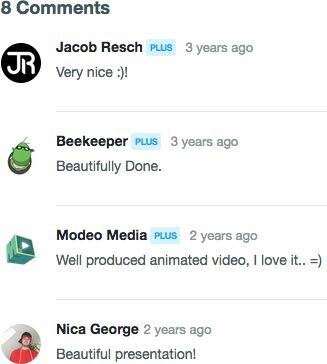 For example, comments on YouTube can be negative and fairly low-brow, whereas feedback on Vimeo is more constructive and supportive. You can host videos for free on YouTube. While Vimeo does have a free option, business users will generally want to upgrade to one of their paid packages, starting at under $60 a year. One key benefit of Vimeo is that you can update a video at any time, without losing your stats. On YouTube, you can’t update a video without deleting the original and starting over from scratch. 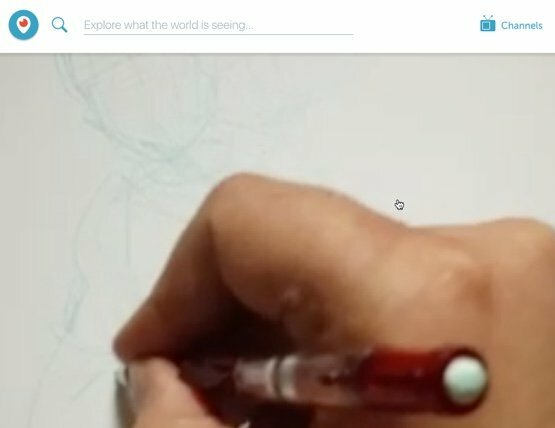 Vimeo videos permit ad-free viewing (which makes monetization easier as there are no competing calls to action), whereas users can only do this on YouTube for a monthly fee. Vimeo has 170 million viewers (compared to YouTube’s billion), around a quarter of which are based in the United States. It’s achieving 80% year over year growth. Join Vimeo if you don’t yet have an account, and start by uploading videos via their free account option. 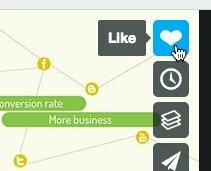 Upgrade as and when you need more features and feel it to be worthwhile for your business. Set the title and description for an uploaded video. Choose the language, and add categories and tags to aid discoverability. Pick a still frame from the video to serve as the thumbnail, or upload your own image. Videos can be embedded on your website just as with YouTube. Leave comments. As stated above, these tend to be more pleasant and constructive than on YouTube. Like a video via the heart icon (there’s no dislike option as there is with YouTube). Add to collections. This could be a Channel, a Group or an Album. Share on social media, and embed on their website (depending on your settings). Check if your market is likely to be on Vimeo. Look for other videos within the same niche and check their stats. Don’t expect these to be as high as on YouTube, but each view may be worth a lot more. 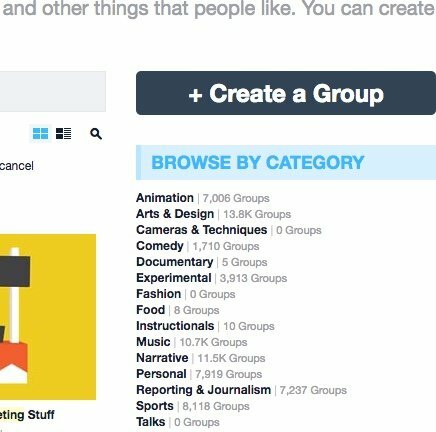 Also look for Groups relevant to your niche and look at the member counts (more below). If you’re already posting a video to YouTube, try simply posting to Vimeo too and see how it performs. Contribute your video to relevant Groups. Groups exist on a wide range of topics from extreme sports to travel to business and marketing type topics, with varying levels of popularity. If a suitable Group doesn’t exist, try creating your own and posting regularly to it. Over time, given Vimeo’s growth levels, you’ll attract others to it. Use great thumbnails and descriptions. These are key to attracting views, and potentially even a Vimeo Staff Pick if you have high production values. Pick relevant categories for your video. 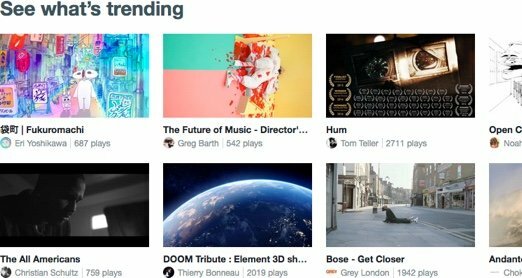 Vimeo users will browse the latest videos within a particular category. You can select up to two categories and one sub-category. As with any other content platform, the more you’re able to contribute on a regular basis, the more successful you will generally be as your audience on the platform grows. Instagram launched in October 2010 as an image sharing app. Within a couple of years, it was bought by Facebook for a billion dollars. In June 2013, they introduced video. This allowed users to share up to 15 seconds of video, along with a number of filters they could apply. Within the first 24 hours, more than 5 million videos were shared. That was then extended to 60 seconds in March 2016. Users can also create videos consisting of multiple clips from their camera roll. Instagram has over 500 million monthly active users, more than half using it on a daily basis. 80% of their users are outside the USA. Interestingly, unlike other social networks, photos on average receive more engagement than videos on Instagram. This is backed up by a separate report showing photos and stills attract 36% more likes than video. As a consequence, less than 10% of Instagram posts are videos. So while Instagram may not be your first port of call for using videos in your content marketing, it may still be worth testing for your market or for some types of campaign. Remember these stats show the average engagement level. For some markets, the opposite may well be true. As an example of this, 13.2% of all posts from brands contain video, and usage of video by brands on Instagram is increasing. It’s doubtful brands would continue to expend the additional resources video requires were this not delivering a positive ROI for them. Download the app, and sign up with either an email address or a personal Facebook account. Signing up through Facebook means you can share Instagram photos on your personal timeline or business Page. You can also connect with Facebook later via Instagram’s Share Settings. Choose a suitable username. This is publicly visible, so should reflect your brand or business so people can easily find you. Update your profile. Enter a bio about your business, up to 150 characters long. You can also include a link which will be clickable by people viewing your profile. Include a profile picture, such as your business’s logo. 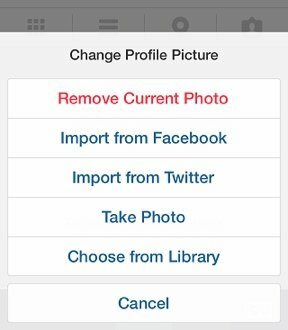 The easiest way is to simply import your profile picture through the app from Twitter or Facebook, and thereby keep it consistent with your profiles on other networks. Once set up, you can use the app to take a photo, upload a different image, or take a video. Different filters allow you to alter and edit your creative for best effect. You can then add a caption, tag people and name the location. Start to attract followers through your other social channels, your website(s) and through your email list. Follow other people and businesses too who may be interested in following you back and who you are interested in. 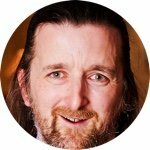 As well as building connections, this will help you to see how others are using Instagram and to gain familiarity with the platform. Instagram is one of the most engaging social networks available, with businesses attracting higher engagement than other platforms such as Facebook. While you may expect this to be more for B2C businesses, even B2B businesses see higher engagement levels. Even so, as increasing numbers of people and businesses pile onto the platform, and ad posts feature more widely, engagement levels are actually decreasing over time. People can like (via the heart button) or comment on photos and videos, as well as tag you in their own creatives. When this happens, you will get a notification. To respond to comments, simply include the @ symbol along with their username. Start with writing a powerful bio designed to attract your audience. Use an appropriate profile picture that reflects the qualities and brand personality you want to portray. 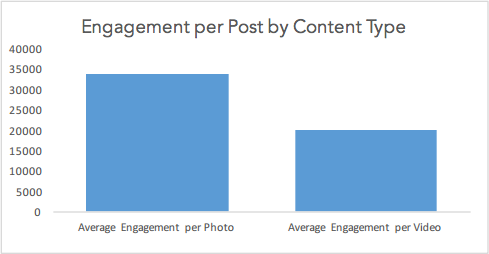 Space out your posts appropriately so you’re not dominating your followers’ feeds. Share images (and videos from time to time!) that reflect different aspects of who you are, what your business offers and what you do. Don’t forget the personal touch. Ensure you use quality images and videos by using a good quality phone. Use a short description with each creative to better connect with your audience and keep them informed. Use relevant hashtags to help ensure your post reaches as many people as possible. Be consistent with your postings. Try posting something to Instagram 2-4 times a day. Grow your following by following people and businesses you are interested in. Engage with their posts via the heart button, and leave comments. Model success by following bigger brands and businesses and gain inspiration from how they use the platform. Have fun joining in on Instagram and sharing information about your business, what you do and the value you add. While Snapchat started off as a photo messaging application, within 18 months or so it launched video sharing too. As with photos, you can set a timer for the content to disappear after the user has opened it. The platform is huge, with Snapchat driving more than 6 billion daily video views from mobile devices. In March 2016, Snapchat also announced the launch of live video, allowing you to initiate a video call directly from chat. Snapchat is often seen as the preserve of teenagers and young adults in their early twenties. While certainly very popular for that age group, in fact over 50% of new Snapchat users are over 25 years old. Older users are proliferating too, with the number of new users aged over 35 growing faster than those between 18 and 24 years old. A third of them watched live Olympics content via Snapchat in the first week of Rio 2016. 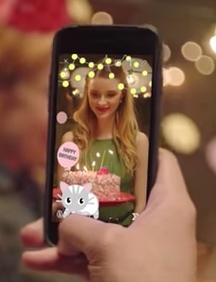 Views of Snapchat videos tripled between May and November 2015. In January 2016, reports indicated Snapchat users were viewing more than 7 billion videos a day, closely trailing Facebook’s 8 billion video views a day at the time. Download the app, and sign up with your email address, password and birthday. You’ll then be asked to find friends on Snapchat via the phone numbers on your device. Other Snapchat users will be able to find you in the same way, unless you turn this feature off via the settings. Choose to add all contacts who are Snapchat users, or find them individually. Check the settings within the app and adjust according to your preferences. Snapchat videos (up to 10 seconds long) can be taken by tapping and holding the circle at the bottom of the screen. For photos, just tap the circle once. After taking the video (or photo), Snapchat gives you the ability to add captions and doodle on your snap. You can also add any available filter. Choose how long you want the snap to be visible for by your recipient(s). On sending your snap, choose who you want to send it to. You can send it to as many as you wish. More useful to marketers is the ability to create and send Stories. These can be a mixture of photos and videos (similar in some ways to Twitter Moments that allow for the collection of Tweets), and are available on your feed for friends to view for up to 24 hours. While there’s not the space here, Mashable has a more comprehensive tutorial for Snapchat beginners available here. Opening snaps and Stories, and completing those Stories (i.e. following it through to the final frame of the story). Taking screenshots of their Snaps. When this happens, the sender of the snap is notified. Snapchat Story replies: Snapchat users can reply to individual photos or videos within a Story. Messages are erased as soon as you (and they) have left the chat screen. Increase user engagement with Snapchat Story replies. These provide immediate engagement from your audience, providing valuable feedback and insights. Some businesses are taking advantage by holding informal contests, polls and Q&A sessions. Create customizable On-Demand Geofilters. For a small fee, On-Demand Geofilters allow you to provide filters for business or private events that Snapchat users can use to decorate their Snapchat videos (as well as photo Snaps), helping you to reach much wider audiences. For example, such filters could include your logo. Pricing starts at $5. Snapchat Geofilters mean you can provide optional filters for Snapchat users that overlay imagery over Snaps, including videos. Offer an exclusive discount. Coupons sent through Snapchat can be very successful. In fact, Snapchat can be the perfect platform for flash sales. Directly target content to select followers. For example, send promotional codes to people you select within Snapchat’s message system. Or use the facility to split test some of your Snaps. Activate Snapchat Stories. Because a Story only lasts 24 hours, there’s no issue in uploading the same Story repeatedly, day after day, so there’s always something on your profile for followers. Watch what other businesses are doing with Stories to get some ideas. Build up to an event. For example, try using behind-the-scenes videos on your manufacturing process, team outings, workspace environments and product teasers. Back up your campaign with Snapchat ads. For example, try their mobile video ads. 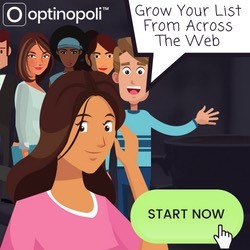 More information on using paid advertising across various social networks, including Snapchat, can be found in this post. Alternatively, get our Special Report on where to advertise on social media. Tumblr announced in June 2016 it would provide live video support. Rather than creating something along the lines of Periscope or Vine, it is simply integrating with existing services including YouTube. Live video posts can be reblogged like any other post on Tumblr. Once the live event has finished, the video stays in your timeline like any other post. Your followers are notified as soon as you go live, and your video will be pinned to the top of their dashboard. Depending on your Tumblr audience size, this potentially gives you a lot of exposure relatively easily. As it’s a relatively new feature, there are currently no usage stats for Tumblr live videos. It depends on the app in question (YouTube, YouNow, Kanvas or Upclose), but look for sharing options in the settings, and turn on Tumblr sharing. If you’re running multiple Tumblr blogs, you’ll be able to select the blog you want to post to. Viewers engage with your live video as for any other post on Tumblr. A full guide for using Tumblr effectively for your business can be found here. Obviously, SlideShare is not a video platform in its own right. However, it should still be considered in relation to using video as part of your content marketing. Although you can’t upload videos directly, you can embed YouTube videos into presentations. Presentations regularly and quite easily get thousands if not tens of thousands of views. Potentially get a ranking boost for their video as a result. Increase engagement in the SlideShare itself. It has 70 million users and over 18 million uploads across 40 different content categories. It’s one of the top 200 most visited sites worldwide (Alexa). If you’re following my content repurposing model of quickly turning SlideShare presentations into YouTube videos, embedding the video you’ve created back into your presentation makes perfect sense. In fact, it adds further value to the presentation, potentially increasing shares. You can potentially also create single-slide presentations that simply have an intro slide before the video. This would be worth testing, though this approach may not play too well with SlideShare’s user base. Are supplementary to the SlideShare content. For example, a tutorial video could show how to do something. Provide an alternative way to view the SlideShare content. Add a slide before the video that explains your approach and the options available. For the video(s) you embed, you can pick up potentially thousands of additional views you wouldn’t have otherwise had. Replicate the process for a number of videos, and you’re quickly looking at in excess of tens of thousands of additional views for your channel. Build more credibility and authority through higher view counts. Attract more shares and embeds. Potentially give the video more visibility on YouTube itself. It’s very straightforward to do too. 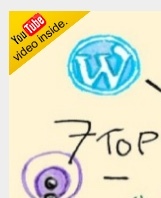 Copy and paste in the link for your video on YouTube, and select the position you want it to appear in the SlideShare. As you can see, you can also add multiple videos as required. Click Insert & Publish and that’s it. In case you make a mistake or want to change the position, you can also remove it again quickly and easily. It’s reasonable enough to assume that adding a YouTube video increases engagement for the SlideShare itself, or it’s unlikely the banner would be displayed. Use the information in this post to power your video content marketing strategy. Pick one or two new platforms to start with that you consider most suitable for your niche, and build up from there. You can download all the information in this post as a downloadable and printable report you can then use for ongoing reference. For printing, you may not wish to print the whole report, so each platform is addressed in a separate section – you can easily just print the relevant sections required. Get the full report here—or, for a quick summary, get the cheatsheet.